Welcome! 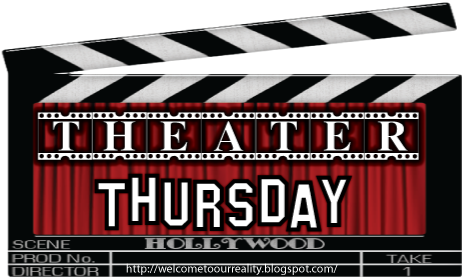 It's Thursday and that can mean only one thing around here... it's Theater Thursday! On Theater Thursday, I chose one movie that's available out on dvd and review it. I think it's fun to do a new one every week and if you have movie that you love and think people should watch then participate. Grab my Theater Thursday button and join in! This week's featured movie is, Winter Kill. 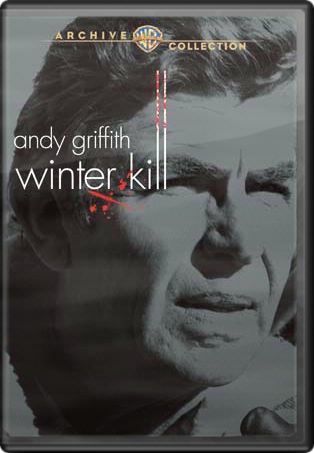 Winter Kill stars Andy Griffith as Sheriff McNeill, living in a mountain resort town that's economy is based on tourism. When someone begins killing off members of the community, the locals become fearful for not just their lives but what it could do to their economy. The killer is a sniper who's shooting victims and leaving a message in the snow with spray paint as his calling card. As the murders continue, Sheriff McNeill begins getting pressured by the town council to find the killer or he'll be out of a job. He's trying to find a killer in a town where everyone knows everyone and do it before he could lose his job. He's under pressure and doesn't know who to trust. Will he find the killer before it's too late? This 1970's Andy Griffith classic is definitely worth watching. I should also mention that the made for television movie was so popular at the time that it was spun off into a show but eventually was cancelled before getting picked up by a network. You can find this movie on amazon and I believe it's still available on netflix. Interesting! Never ever heard of it. Thanks for the recommendation. Never heard of this one, but it sounds great! Have you ever thought of making this into a link-up? I think a lot of people would like to join!